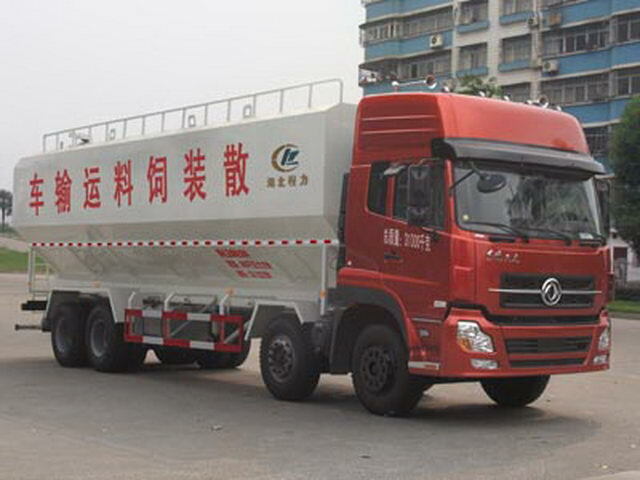 Tank size:9000*2495*2310(mm);Effective volume of tank:32.1Cubic metre;medium:Expansion and pellet feed, powder;density:500Kg./Cubic metre;Wheelbase/The corresponding relationship:1850+4350+1350,1950+4250+1350 /2990;1850+4350+1430,1950+4250+1430 /2910;1850+4600+1350,1950+4500+1350 /2740. 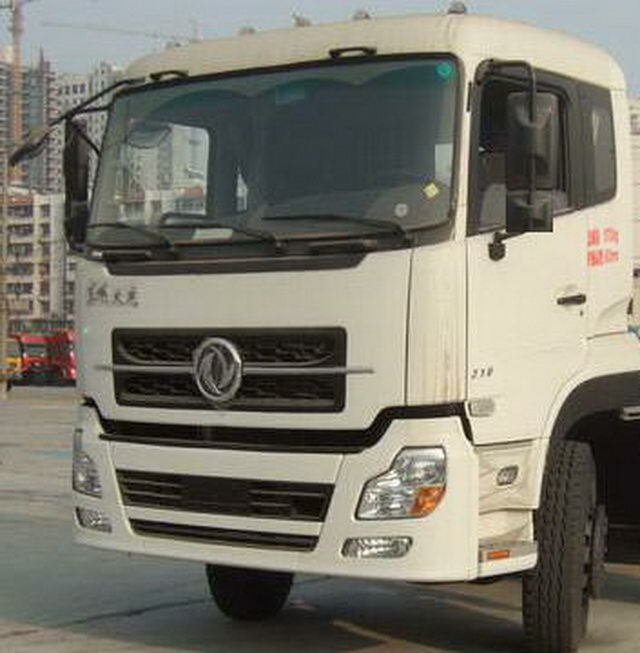 Protective material:Q235Acarbon steel,Connection mode:The left and right sides and the rear lower part are protected by welding connection,Rear section size(mm):100*50*5,Rear protection height(mm):520. 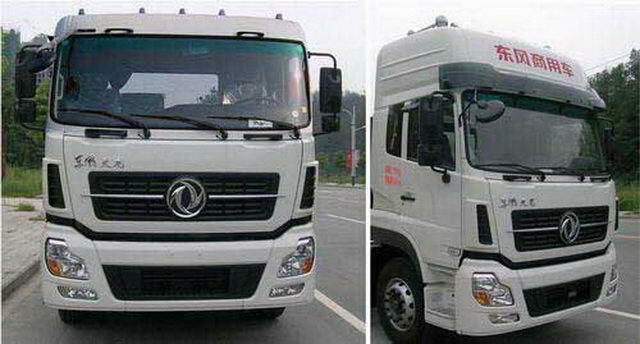 Optional flat cab,With the high roof cab top air horn,The cab optional lamps exactly the same only different local appearance.Optional rearview mirror,Under the optional front mirror installation position. Traveling data recorder with satellite positioning function.ABSManufacturer:The East Branch Knorr commercial vehicle braking system(Shiyan)Limited company;Model:3631010-C2000. 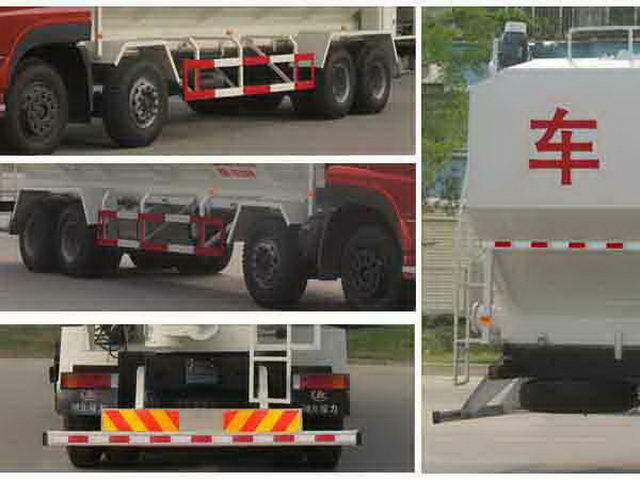 The chassis is optional front muffler,Used for modification of tanker. 10:11590/1850+4600+1350(1950+4500+1350)/2290/12;Optional disc brake,ISDe270 40/ISLe292 40/ISLe31540/ISC8.3-270E40A/ISC8.3-292E40A/dCi320-40/DDi75S270-40/DDi75S292-40/ISL9.5-292E40AOptional engine speed limiting device,Speed limit80km/h.ABSManufacturer:The East Branch Knorr commercial vehicle braking system(Shiyan)Limited company;Model:3631010-C2000.